Yabba dabba delicious or a yabba dabba dud? 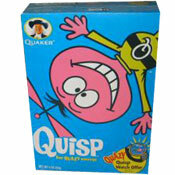 When you open the box, you get a distinct whiff of peanut butter. 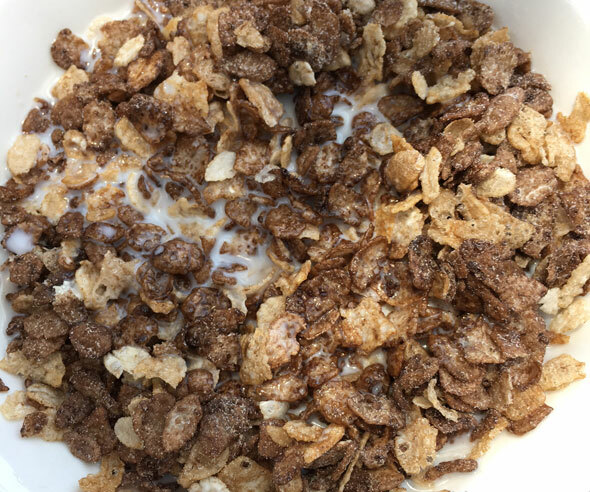 The cereal looks a little less appealing than it looks on the box as the brown and tan pieces are speckled with a white sugary powder that makes everything look kind of grey. As you pour on the milk, you hear a little bit of snap, crackle and pop. As for taste: Peanut butter flavor is far more apparent than chocolate flavor. The cereal is pleasantly sweet, but not overpoweringly so. The texture is the same as classic Cocoa Pebbles or Fruity Pebbles. Extremely critical tasters may notice a slight bitterness to the cocoa aspect of the cereal. But that sensation goes away after the first couple spoonfuls. The milk left at the end of the bowl is very brown with a lot of peanut butter flavor. In the end, I liked this cereal... but I like original Cocoa Puffs quite a bit better. If more of the chocolatey flavor of the original was incorporated into this new cereal, I'd be much more enthusiastic about this product. 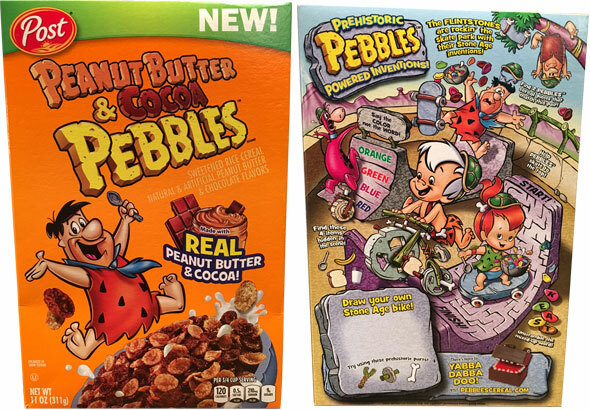 If you're a fan of peanut butter and a fan of Pebbles cereals, you're likely to like this new cereal. So... is it yabba dabba delicious or a yabba dabba dud? It's yabba dabba decent. Nutritional Considerations: Each 3/4 cup serving of Peanut Butter & Cocoa Pebbles has 120 calories, 2.5 grams total fat (0.5 saturated and 0 trans), 0 mg cholesterol, 210 mg sodium, 24 grams total carbs, less than 1 gram dietary fiber, 9 grams sugar and 2 grams protein. The $0.00 price noted below indicates that the company provided us with a sample box of the cereal. 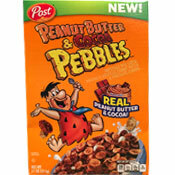 What do you think of Peanut Butter & Cocoa Pebbles? Yabba dabba... it's okay. 3 out of 5 from me.